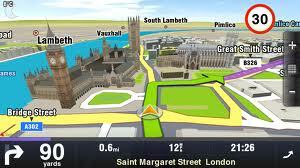 The Sygic GPS App is a multi-platform sat nav application which is powered by TomTom maps. The app is popular largely because of its offline mechanism, meaning you get GPS tracking without the big data costs that come with using Google or Apple maps on 3G/4G. The Sygic app is of particular note for people who frequently travel abroad, due to its offline nature. Other features include lane guidance, voice instructions, street names and speed camera warnings. The Sygic GPS app for Android and iOS has been a phenomenal hit, and has now surpassed the 30 million download mark, according a release sent out by the company. The app charts in the top 20 navigation apps in over 40 countries at the time of writing. To celebrate, the company are planning a 30% off summer sale, which will see them cutting their prices by 30% for a limited period.